There are a number of things to consider when getting your home ready for market. Even the best marketing and promotional efforts will fall short if your home isn’t appealing to potential buyers. By addressing these items early – before the sales effort begins – you can insure that your home will show its best side to buyers. Many sellers do not realize the extent of their potential liability after the sale. While local laws vary considerably, a seller is generally required to disclose any deficiencies of which he or she is aware. This is the problem – how do you prove exactly what you did or did not know? Our Disclosure Checklist can provide a starting point by helping you determine which items are disclosure issues. A pre-sale inspection by a reputable inspector can be an ideal way to protect yourself against disclosure related claims after the closing. Sellers are legally required to disclose any known deficiency to the buyers. 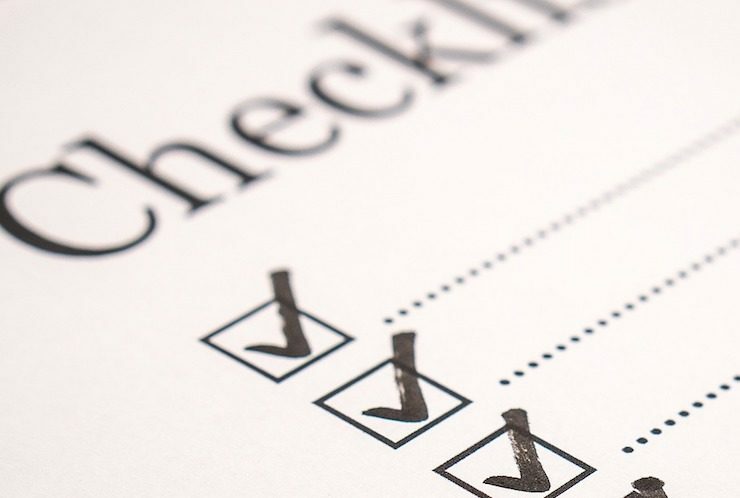 Unfortunately, not all parties will agree on exactly what constitutes a deficiency, so your safest bet is to disclose everything that may be considered a flaw.While it is by no means a complete listing of potential problem areas, this checklist provides a good starting point for identifying possible liability problems in your home. Disclose the age of the house and any major problems you’ve experienced (including any you believe have been corrected). Provide a complete list of all known repairs and improvement projects that have been completed. Specify any variances or other zoning actions affecting the property. Disclose any known problems with the home’s heating, plumbing, electrical, and air conditioning systems. List the ages of all furnaces, air-conditioning units, and water heaters. Provide copies of the service records on all systems. Disclose any known problems with alarm systems (fire, smoke, and security) and intercoms. Disclose any known problems or leaks. Specify age of roof, siding, and windows, if known. Disclose any known problems with these systems. Provide all service records. Make sure that purchaser acknowledges any special factors (e.g. pump septic system). Disclose any known problems. Specify age of each item and provide service records, if available. Disclose any and all known violations of current building code standards. Consider all house systems and structural components. Disclose any household systems that perform in an inadequate manner. Examples – poor availability of hot water or water pressure, air conditioning inadequate to properly cool the house, etc. Report any and all known environmental issues, including, but not limited to, underground tanks, abandoned septic systems, lead paint, tainted water table, asbestos insulation (usually around pipes), and radon. Inspections are for buyers, right? That is a popular perception, but the truth is that a pre-market inspection can be a very valuable tool for a seller. Since the buyer is probably going to have an inspection anyway, why not find out about any problems upfront so you’re not taken by surprise a few weeks before the closing date? A pre-sale inspection can also help protect against potential seller liability – if the inspector didn’t find a problem it is a reasonable assertion that the seller did not know about it either. By making repairs and disclosing to a prospective buyer the property’s condition up front, you can create a more relaxed atmosphere by instilling confidence regarding the home’s condition. Before negotiations even begin, the home inspection helps to create an atmosphere of good faith. A home for sale can never be too clean. In addition to a complete scrubbing you may want to do a little rearranging to insure that your home shows as well as possible. Any time you spend sprucing up your home is well worth the time and effort. All these things help to increase the sale price of your home and decrease the time it takes to sell the property. A spotless home makes a strong impression on a buyer. While some level of dirt and clutter is endemic to life in the home, the fact is that the less “lived in” your home looks, the better it will show to buyers.Consider a furnished model in a new home development – the furnishings and appointments give the look of a finished home – without the wear and tear of actual occupancy. Try to come as close to that level as possible – you’ll notice the difference in your sales effort. Clean all kitchens and baths thoroughly and keep these areas spotless during the selling period. Clean the store and refrigerator. Fix any dripping faucets. These items that may seem trivial give buyers the impression that the house isn’t well maintained. Check for fingerprints on light switches. Mop and wax floors. Dust and vacuum clean regularly. Put away your dishes after meals. Make your beds, pick-up after the kids and be sure to put away the laundry. Clean carpeting and drapes to eliminate cooking odors, smoke and pet smells. Open windows and make sure to vacuum frequently during the selling period. Wash all windows and keep these clean during the selling period. Wash all screens. Consider removing some furnishings and personal possessions if any rooms seem cluttered (you can rent a storage space if you need some place to put excess items). Pack away most decorative items and family photos. Clear off countertops as much as possible. Clean out messy closets. Tidy up children’s rooms and play areas and try to keep these areas clean during the selling period. Impress upon your children the importance of cleaning up after play sessions. Clean out the garage and basement. Organize stored items neatly and remove clutter. Sweep both areas clean. Clean up outside areas. Neatly store any ladders, lawnmowers, or other tools and equipment. Make sure that bicycles and children’s toys are stored in an appropriate place. Wash the exterior of the home if your siding is dirty. If required, patch holes in your driveway and reapply sealant. Make sure your yard is well tended. Keep the grass neatly mowed and edged. Check your shrubs and plantings to see if they need to be weeded or trimmed. Consider putting a pot or two of bright flowers near the entryway. Purchase some potpourri or scented candles to use when the home is shown. Consider keeping firewood on hand during the winter if your home has a fireplace. Most major home improvements don’t make sense for sellers; however there are notable exceptions to this rule. Required repairs, or other deficiencies that must be disclosed, will likely make it very difficult to sell your home (and you’ll probably end up agreeing to correct them anyway) – so it may be worth dealing with these items before hitting the market. Unlike major improvements, many small home projects can be very good investments for the seller. Generally, the best projects to consider are those that are fairly low in cost yet provide a major impact to the look of the property. Each of these ten projects can be completed at a reasonable cost – and all contribute considerably to a home’s curb appeal and salability. A fresh coat of paint can really brighten the interior of your home at a reasonable cost – especially if you do the job yourself. Choose neutral, popular colors that will appeal to most buyers. An old, peeling coat of exterior paint can really ruin the curb appeal of your home – and turn off potential buyers before they even get through the door. A new paint job can work wonders to restore a home’s outward appearance. Paint your front door or buy a new one if needed. Make sure your front doorknob, mailbox and door numbers are clean and polished and the numbers can be seen clearly day or night. You will probably have to repair any broken or malfunctioning household systems before you close anyway – so why not do it upfront before the problems detract from your sales effort? Damaged or stained wood floors can really make a home look shabby, but with a relatively inexpensive refinishing job they can look as good as new. The kitchen is a critically important part of your home to most buyers. A dated or unfashionable kitchen can really hurt a home in the marketplace. While a full (and expensive) kitchen remodel is unfeasible, any small and inexpensive projects that jazz up the room are probably a good idea. Painting cabinets, replacing hardware, changing faucets, and installing new flooring are all reasonably priced projects that can make a huge difference in the look of your kitchen. If your kitchen (or laundry room or bath) has old or unattractive linoleum it may be worth replacing the flooring. The cost is generally reasonable and the impact on the room can be significant. Installing some well selected plantings can really improve the look or your yard and curb appeal of your home. Avoid costly projects involving earthmoving or extensive plantings. Instead, select shrubs that will look their best during the anticipated selling period. If the time of year permits, choose plants that will be in bloom when buyers are viewing the home. Check all of the lighting fixtures in your home and replace any that are not working or are dated and unattractive. Make sure all fixtures have working bulbs and that all light switches are in operating order. Put higher wattage bulbs in light sockets to make rooms seem brighter, especially in darker rooms. Check all of your interior doors. Do they open easily and close all the way? If not, have them planed or adjusted so they function properly. Check all of your windows. Do they open and close easily? Do they lock properly? Are there any cracks or broken panes? Fix any problems and make sure that all windows have screens that aren’t torn or worn out.